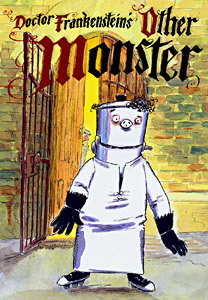 This book was previously published under the title, Doctor Frank’s Monster, by Random House, Australia. Doctor Frankenstein sets out to make himself a son, but things don’t go according to plan and he makes a little monster by mistake. This is a story, told with wit and pizzaz, about how hard it is for a child to make friends when he or she is perceived as being different or unusual. But, of course, there’s a happy ending.